Graduate students are students reading for a 1 year MPhil degree (a taught or research course), a 3 year PhD, any other taught postgraduate course, and students of Clinical Medicine and Veterinary Medicine. St John’s will consider applications for any of the full-time graduate courses offered by the University. We do not consider applications for part-time graduate courses, other than from existing members of College. We cannot consider applications from members of other Cambridge colleges except through our Research Scholarships Competition (which includes the Benefactors', Craik, J.C. Hall, Paskin and Pelling Scholarships). 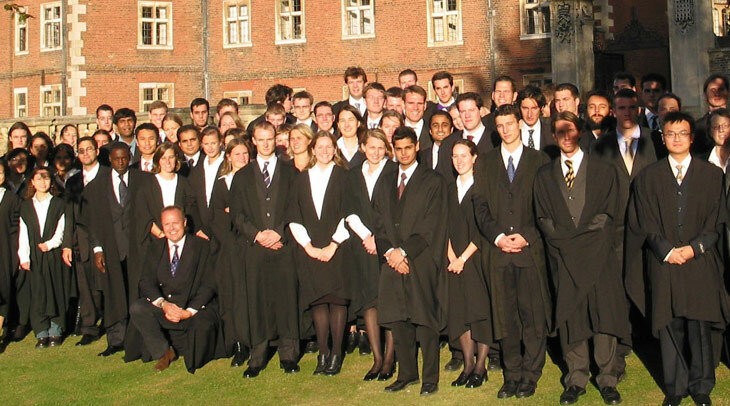 Former and current students of other Cambridge colleges are asked to contact the St. John's College Graduate Office for further information on the College's transfer policy before nominating their preference colleges on the Graduate Application Form within the Applicant Portal. Please note that members of other Cambridge colleges who have already been awarded full funding from other funding bodies before 1 March 2019 are not eligible to enter the 2019 Research Scholarships Competition. Applicants for graduate courses should apply to the University in the first instance, and application should be made through the University’s Graduate Admissions Office at the Board of Graduate Studies for most graduate courses; exceptions are the PGCE and the MBA. Current undergraduate members of St John’s College wishing to apply for graduate courses should initially consult their College Tutor. Once you have been accepted by the University your application form will be circulated to the colleges on your preference list. In order to be considered by St John’s College you should list us as one of your preference colleges. (NB Applicants who wish to be considered for a Bradlow Scholarship, a Dr Manmohan Singh Scholarship or in the Luisa Aldobrandini Studentship Competition, in the years when those competitions are available, must name St John’s College as their first preference college). You will not receive any communication from the colleges other than from the college which offers you a place. The process of obtaining a college place can be quite lengthy but the University's Graduate Admissions Office will endeavour to find a college place for everyone who has been offered a place by the University. If St John’s College is able to offer you a place we will write to you with details of our offer. We will also send basic information about College accommodation. More detailed information will be provided at a later stage. Any offer of a place will be made on condition that you satisfy the University’s academic and financial conditions for admission. We will ask you to keep in contact with us until those conditions have been met. The University's Graduate Admissions Office at the Board of Graduate Studies processes all applications for PhD and MPhil courses. They also process applications for LLM, Diploma, Master of Advanced Study in Mathematics, MLitt and MSc courses. The Graduate Admissions Office supplies application forms. Full details on how to apply can be viewed on their website. Applications to the University's Graduate Admissions Office can be made online. This information is currently being updated for the academic year 2019-20. 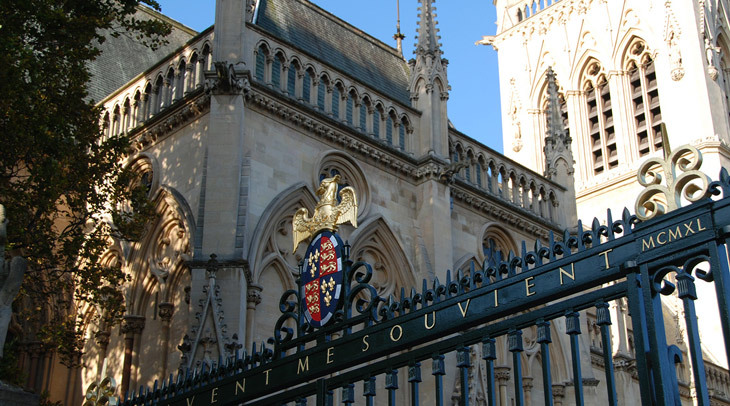 Those who hold conditional or confirmed offers of a place to read for a Graduate Course at St. John's College during 2019-20 should consult the Financial Arrangements document for further information about charges for 2019-20. The Financial Arrangements document will be available in July or August 2019. The life of a Graduate student is different from that of an Undergraduate; most teaching takes place in the Faculty rather than in College, and most of the lifestyle of a Graduate Student depends on their Faculty and Supervisor. Science students are usually based in a Laboratory, working in a group and seeing their Supervisor frequently, while Arts students usually work alone, spending a lot of time in libraries, and may see their Supervisor infrequently. Unlike Undergraduates, Graduate Students are of all ages (21-70) and from many different countries, and many of whom have partners and children. The College provides a social base and support for all Graduates. Graduate Students are allocated a College Tutor in the same way as Undergraduates and all other College facilities are available to them. Graduate Students participate in all the sporting and cultural activities of the College in the same way as Undergraduates although there are specific graduate teams for some sports. 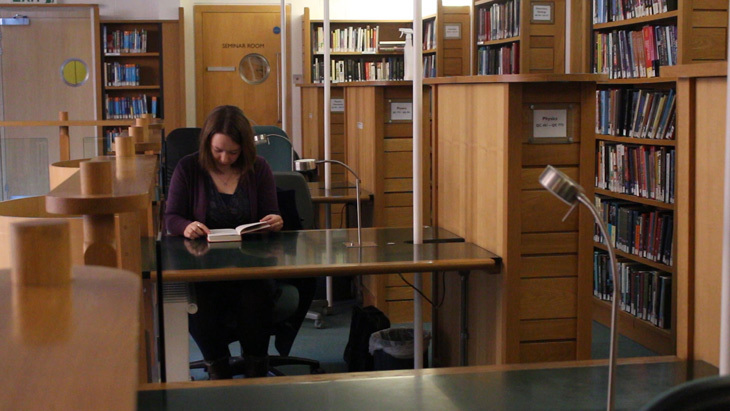 Other activities for Graduate Students are run by the Samuel Butler Room Committee. 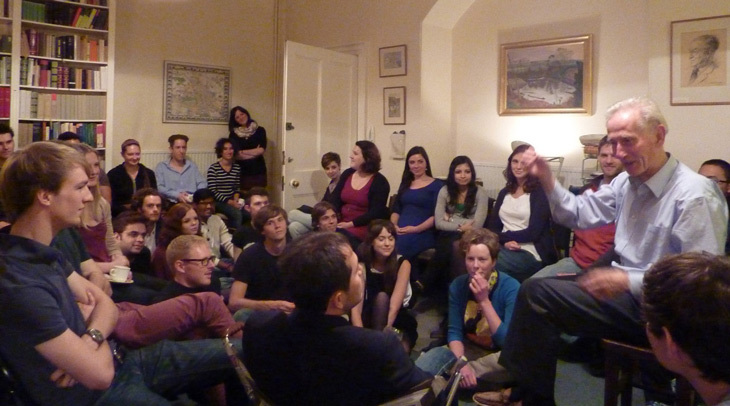 The Samuel Butler Room is the College Common Room for Graduate Students, and all Graduate Students at St. John’s College automatically become members of the Samuel Butler Society. Each year the Graduate Students elect a Committee from amongst their number; this Committee represents Graduate Students in College and organises social activities. If anyone is interested in the possibility of using the Wolfson Court Nursery they should contact the Graduate Administrator in the first instance. Grants are available to Students to meet half the cost of childcare for their children and, in cases of severe need, larger grants may be made for this purpose. Students wishing to avail themselves of such grants should download the relevant form from the Student Services pages of the College website. 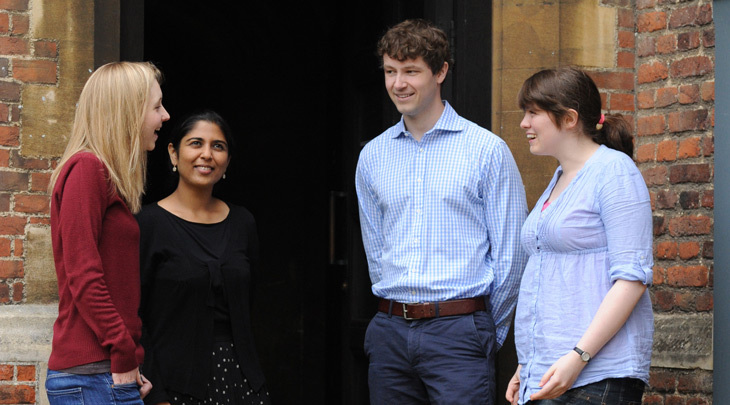 St John’s College offers funding for Graduate Students in a range of competitions. St John’s College is normally able to offer accommodation to all its graduate students. This accommodation is either in shared houses (Hostels) or in self-contained bed-sits, flats or houses. All hostels are within 2 miles of the main College buildings and the city centre, and most are within ¼ mile of the College. The accommodation offered in the hostels comprises a single room in a converted or purpose-built house. All hostels have shared kitchen and bathroom facilities, and telephone. All hostels have washing and drying machines, and further machines are available in the College. Each hostel houses between 4 and 15 graduate students. The College has a very limited number of en suite hostel rooms and these are therefore only allocated to students with special requirements on medical grounds. Room charges for the academic year 2018-19 will be between £460 and £720 per month according to the size of room and associated facilities. These costs include water, gas and electricity consumption as well as internet access. Four weeks notice of intention to vacate a room during the academic year is required. 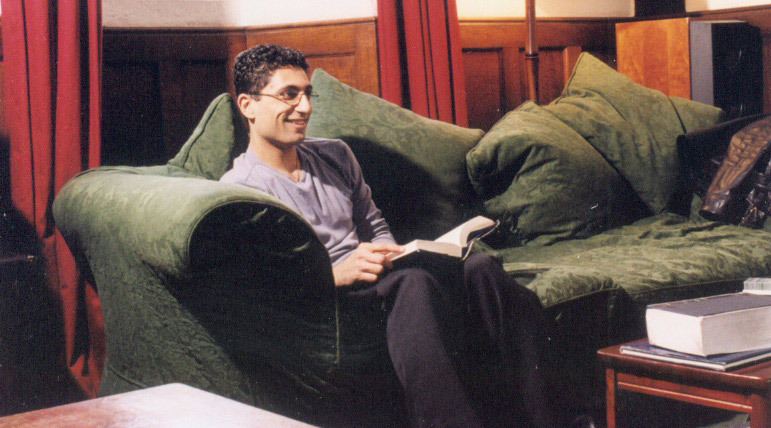 The College has up to 50 units of self-contained furnished accommodation for students with long-term partners and/or children or for single students who are unable to live in a College hostel. These units range from bed-sits and one-bedroom flats to two-bedroom houses. Each unit has its own bathroom and kitchen. For the academic year 2018-19 the rent for such accommodation will range from £703.72-£1,032.04 per month. These costs include water, gas and electricity consumption as well as internet access but do not include Council Tax and TV licensing as this is the responsibility of the tenant. All of this accommodation is within a two mile radius of the College. Demand for this accommodation is high, although the College is generally able to meet this requirement, at the start of the academic year, provided sufficient notice is given that such accommodation is required. It is allocated by the College’s Accommodation and Bookings Manager according to availability and the circumstances of the applicants. Students wishing to seek private accommodation in Cambridge should contact the Secretary of the University Accommodation Service, Kellet Lodge, Tennis Court Road, Cambridge CB2 1QJ (telephone enquiries to Cambridge 333316 or 338099, website http://www.accommodation.cam.ac.uk/). Please note that private accommodation of a similar standard to College accommodation is scarce and liable to be expensive.